Unlike pet therapy, a form of therapy in which volunteers can take their trained pets to different settings such as a hospital or school, animal-assisted therapy includes a counselor or other therapist who specifically involves the animal into the treatment process. Origin Active Lifestyle Communities believes in utilizing all forms of therapy to help nurture and improve the quality of life across all areas of wellness for our community members. In most studies, animal-assisted therapy associated with seniors has been shown to “alleviate manifestation of cognitive disorders, such as agitation.” It encourages mental stimulation for seniors with memory impairments, and it helps them to tap into memories of past animal interactions or a childhood pet. This type of therapy can also help increase focus and attention and in certain circumstances, even enhance problem-solving skills. In addition, animal interaction has been shown to boost mood and increase energy levels naturally. This is positive for seniors as it decreases their risk of developing depression and lowers levels of anxiety, stress, and grief. 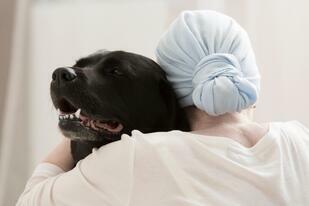 Animal-assisted therapy has also been found to be extremely beneficial for those who have dealt with illness or the passing of a spouse or family member. Arguably the most powerful benefit of animal-assisted therapy is the emotional aspect. Animal interaction has been proven to decrease feelings of loneliness by increasing socialization. Interacting with animals, especially in a group setting, can prompt conversations between seniors – sharing stories, laughing, and enjoying the company of the animal. Animal-assisted therapy provides seniors with a sense of comfort, empathy, and trust. The joy that animals can bring to an interaction can even improve a senior’s self-image! 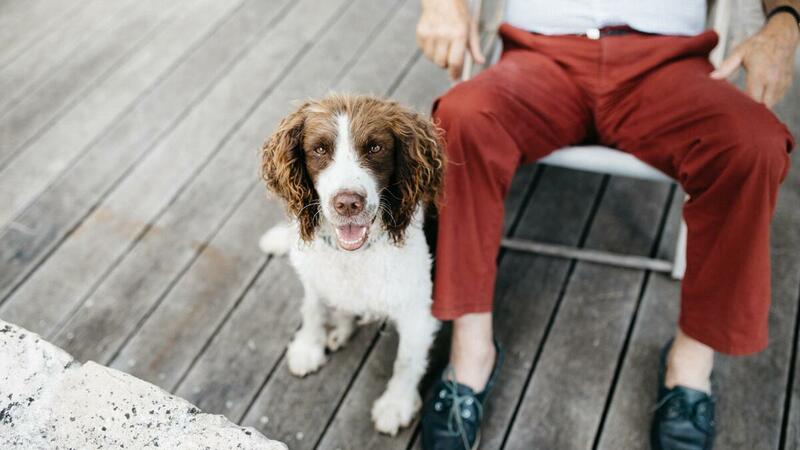 Animal-assisted therapy has even been shown to improve physical health in seniors. In some cases, these interactions have been linked to decreased cholesterol levels and lower blood pressure, which reduces the risk of developing heart disease. For those overcoming a medical procedure, animal interaction has been found to help speed up recovery time and reduce the need for certain medications. Animal-assisted therapy has also improved willingness to participate in a therapeutic program that they may have been reluctant to at first. Of course, animal-assisted therapy may not be for every senior, especially those who do not feel comfortable around new animals. For those who enjoy the company of an animal, the benefits are boundless. Animal-assisted therapy experiences can be as simple as walking or brushing the animal or working to achieve a given task, i.e., fetch a ball. Origin Active Lifestyle Communities are always looking for new and innovative ways to improve our community members’ experiences and overall quality of life. We encourage you to schedule a visit to one of our communities and experience the Origin Way for yourself!